I HAVE resolved to leave my hiking boots in the back of the Mini Estate this August Bank Holiday and avoid the Lake District fells. The reason is simple. The roads will be crammed with Vauxhall Vivas, Morris 1300s, and assorted bangers with mismatched bonnets and coat hangers for aerials. 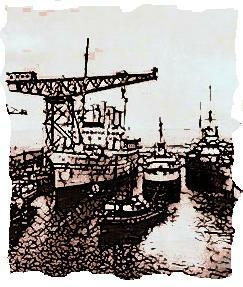 The crags will echo strange voices from Manchester and Newcastle – perhaps even Scotland. The Lake District is a place to avoid at August Bank Holiday, unless you like crowds, bus trips and queuing for ice-cream . . . But when I’m making my breakfast I glance through the kitchen window. Hazy mountains glance back beneath a blue morning sky. The urge to climb among them is overwhelming. I must feel the sun on my brow and the wind in my hair; smell damp moss and bracken; tramp across rocks and yielding peat. Surely, quiet corners exist where the crowds never venture. An hour later I leave the car at Ulpha Bridge, high in the Duddon Valley. I climb the winding road up Rough Gill, then on its summit – between Dunnerdale and Eskdale – strike south-west across open ground to Hesk Fell and the stony crown of Whitfell. Up here the air is clear and cool and larks are singing. Distant mountains stand blue in the haze. The turf is warm and dry. I lie down and close my eyes, listening to birdsong and the sound of grass. And I sleep for an hour or two. Mid-afternoon. I wander down the fell to Bigert Mire and follow narrow roads to Ulpha Bridge. The only signs of life I’ve seen on this glorious day in August are the larks and three butterflies on a bunch of thistles. So I shall keep this corner of Lakeland a secret. For now, at least . . .
A walk in solitude took place during August Bank Holiday in 1978. 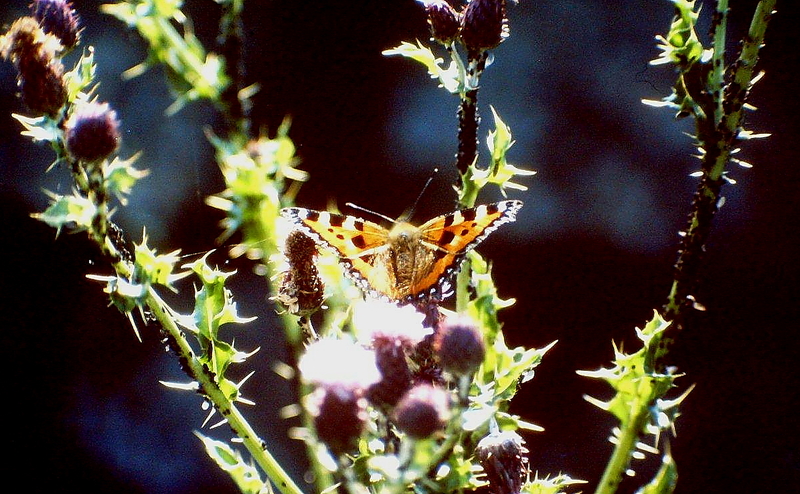 THE butterflies on the thistles I photographed that day were small tortoiseshells, Aglais urticae. I grew up in a part of the country (the Furness peninsula) where they were known as King Georges. As kids, we were familiar with all the common butterflies – cabbage whites, orange tips, red admirals, large whites, peacocks – and used their proper names. But a King George was a King George, and nothing else – small tortoiseshell didn’t feature in anyone’s vocabulary. A few years ago I searched the internet for the origins of the local name, but drew a blank. I’ve just carried out another search, and with little success. But it appears to be a name from the North-West, very popular in the 1940s and 1950s, and it might be linked to the King George aster, which is known to attract bees and butterflies. Has anyone any thoughts on this? 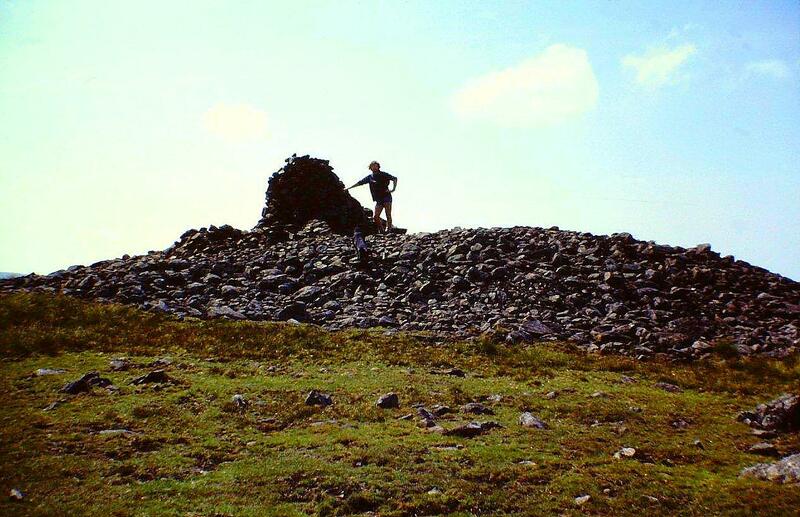 This entry was posted in Butterflies, Childhood, Climbing, English language, Footpaths, Hiking, History, Life, Mountains, Traditions, Walking, Weather, Wildlife and tagged Cumbria, Lake District, outdoors, Scotland, The Lakes. Bookmark the permalink. In 1978 one of those Vauxhall Vivas might have been my dad’s. We spent hours sitting in traffic jams trying to get to Bowness. And if we weren’t sat in traffic jams we were sat at the side of the road waiting for the RAC or for my dad to find a length of fence wire to tie the exhaust pipe back on. We never reached the Duddon valley, but I discovered it later on when I started going up to the Lakes on my own. It’s a fantastic valley and special in that it delivers you to the foot of Hard Knott and Wrynose and all the bleakness contained there. Ah, the good old days, Chris. Until quite recently I used to carry bits of wire to tie up my exhaust. And once back at home there was a trick with a baked bean tin you could do to patch it up if it had snapped. The Duddon valley is a really special place. It was right on our doorstep and I know it well. In fact, we very nearly bought a cottage at the above-mentioned Bigert Mire back in the early 1980s, but it wasn’t to be. These things happen. I’m glad you did mention it. My exhaust pipe tales sink into insignificance when compared with that. But I think we need to establish how the sheep fared. It lost a lot of wool, that’s as much as I can say. Alen you grew up on the Furness Peninsular……..where? Lived in Askam until I was 21 (Askam Infant, Junior, and Dowdales Comp), bought a house in Dalton in 1980, moved to Marton when I got married in 1982 and lived there until 1995 when we moved to the North-East, just south of Darlington. We are now in Spain, which is warmer than Askam – but I do miss the old place. I presume you’re from Furness or you know it well, Barry. Do tell. In Dec 2013 I was surfing the web for Lake District articles and came across one of yours which started..:There is a special place on the Furness Peninsula where people live in huts for much of the year”…I was one of those people who lived in one of those huts (still family owned), most summers until I was 18. 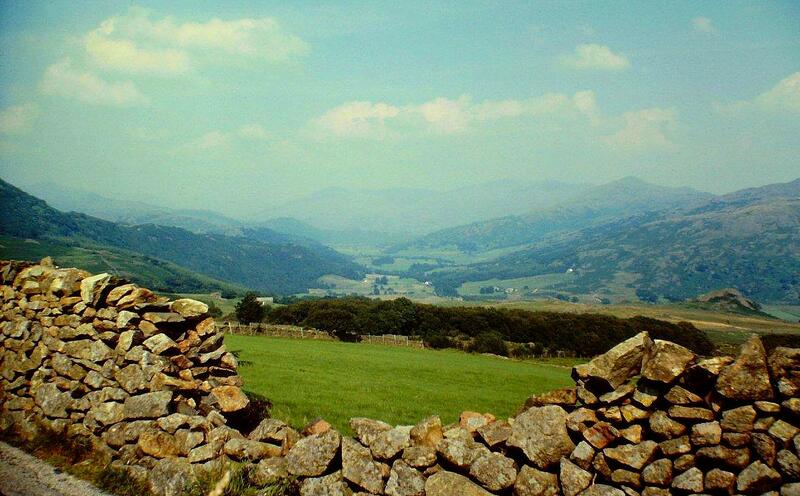 It is a special place, as is the Duddon Valley which you and I agree, should remain secret for as long as possible. For the past 37 years I have lived in Ohio, USA but have still managed to visit the Lakes about every three years. Later this week I am meeting my American niece and her husband who later this month will be spending a vacation at Windermere and Keswick. I will be guiding them on some of my Lake District highlights and special places. I will also be introducing them to your very interesting and informative material. I hope they get a few dry weather days….haha! Hi Barry. All my life I’ve wanted to own one of those huts, or one in a similar location. There are similar sites on the mouth of the Tees, and at Flamborough Head, and I’m sure many more scattered at remote locations around the British coast. In fact, I came across a website dedicated to the subject a while ago. I’ll include the address here because it may be of some interest. I referred to the Barrow site as Lowsy Point, though I think I’ve also heard it called the Black Huts. It’s the perfect place to spend summer holidays, and I’m sure you had a great time there. Anyway, I hope you and your relations have a fantastic break in the Lakes. It hasn’t been a great summer up to now (so I’ve heard), so some better weather is due – and that will mean a golden autumn. I have my fingers crossed for you. Hi Alen. As always I enjoyed the read and pictures of yours. It’s a kind of relief to see some of your home areas even if you have taken up other brave challenges which I admire. I have at any rate been attracted to visit the north of England and I can easily blame it on you 🙂 You have sharpened my urge to wander in terms of the English Mountains, even if my knees might hurt. I can read by your discussion that it might be a common side effect. If you were to have a disastrous homesickness then Home Swap is the current huge hit at the moment. Hiya Hanna. Thanks for the advice. Home Swap sounds like a good idea, but at the moment we haven’t got a home to swap. Perhaps in the future if the urge takes us. The English Lake District is very beautiful but at this time of year it is also very busy. The best time to visit is autumn when the leaves are turning golden. If you are lucky to get good weather in late September and early October, it is the most beautiful place in the world. I read your post “Gibbet Hill and Carlin Gill” again and the pictures really are amazing. That’s a beautiful place. I hope you’ll find a really nice home soon!!! Hi Hanna. That’s right on the edge of the Lake District, in a very beautiful though little-known area. It’s one of my favourite places. I hope to travel to Norway and Denmark at some point. I’ll drop you a line and you can put the kettle on. Sam Smiths is the way to my heart. Beautiful photos. First and second photo are my favorite ones. Hi Sartenada. Thanks for that.